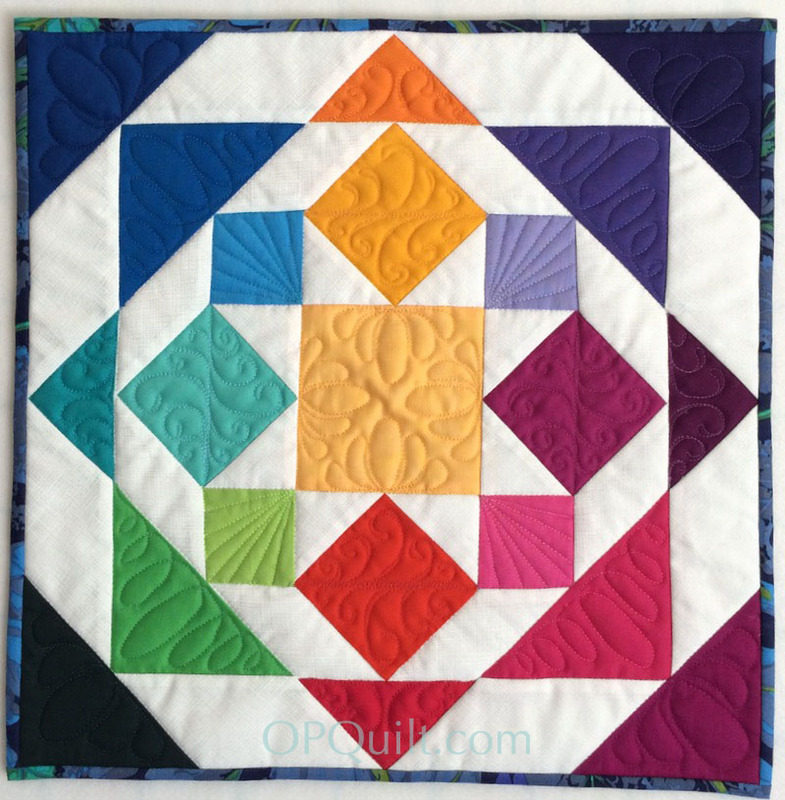 Teaching Schedule through Late Summer | OccasionalPiece--Quilt! 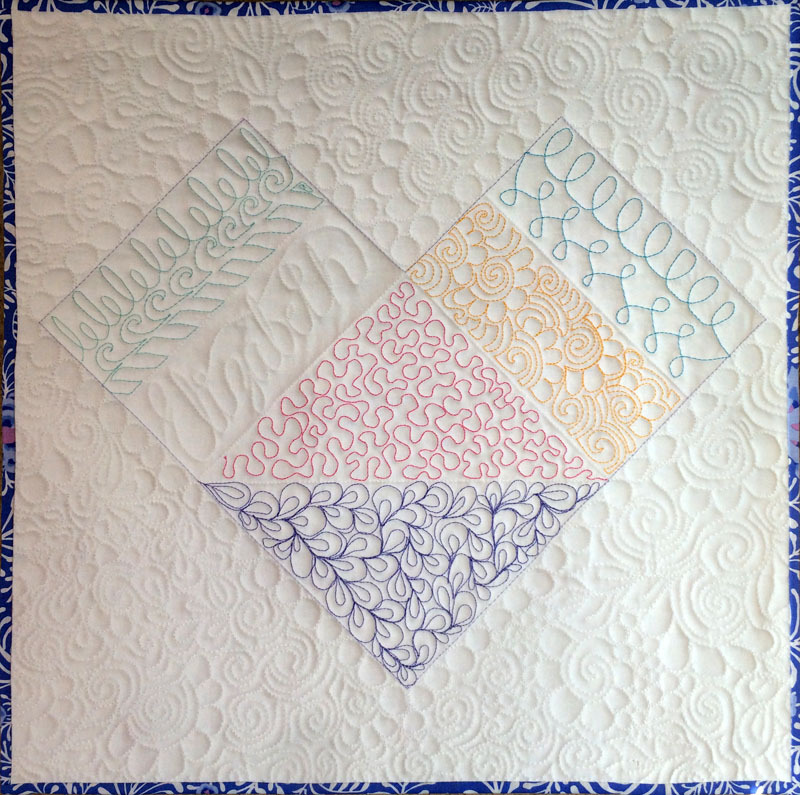 Posted on March 7, 2016 by Elizabeth E.
I’ve signed up to teach a few classes at our local quilt shop, The Quilter’s Cocoon, and thought I’d let you know about them. The first three are mini quilts, where you learn a new skill with each one. There’s a discount for signing up for all three. 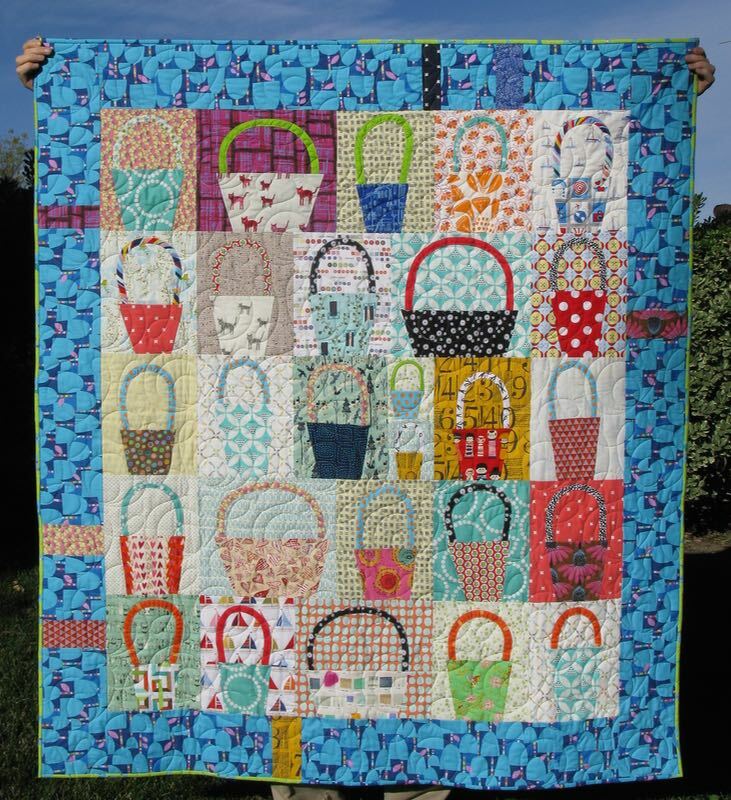 Then in June, I’m teaching the Wonky Baskets quilt, to use up a lot of scraps. 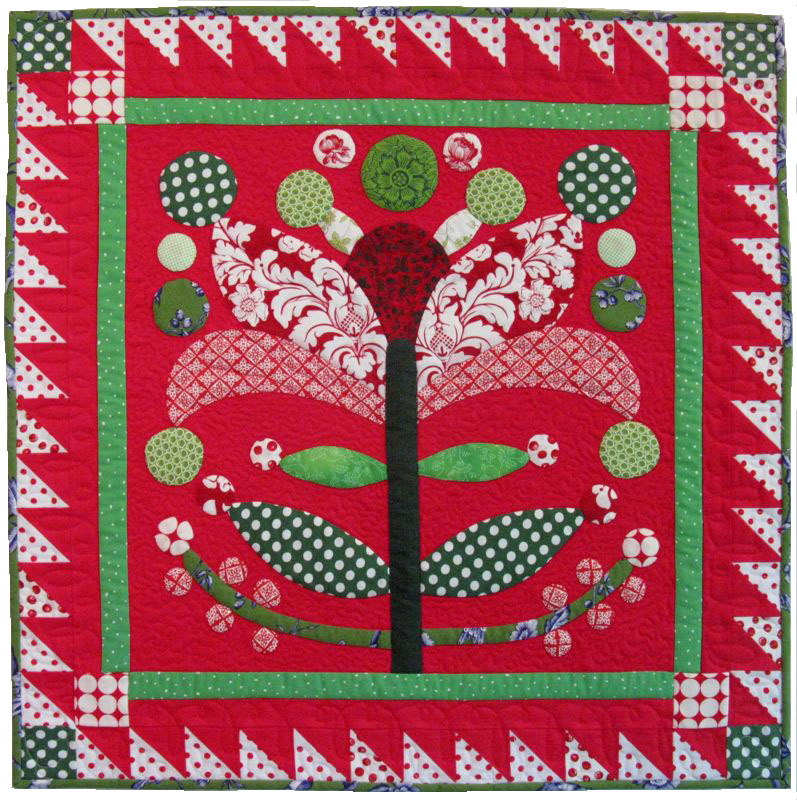 July’s class is Machine Appliqué, making an originally designed Lollypop Tree block (pattern included in class) in either Christmas colors or summery/spring colors. Finally, we’ll finish off with Beginning Machine Quilting, using your domestic sewing machine. Hope you can join me for one or all! Great! Looking forward to meeting you and getting some skills! Sounds like a full load! But no papers to grade. If I were still in California I’d try to come to one of your classes as I’d love to meet you in person but hopefully I’ll get to meet you next time I’m in California. ooooh . 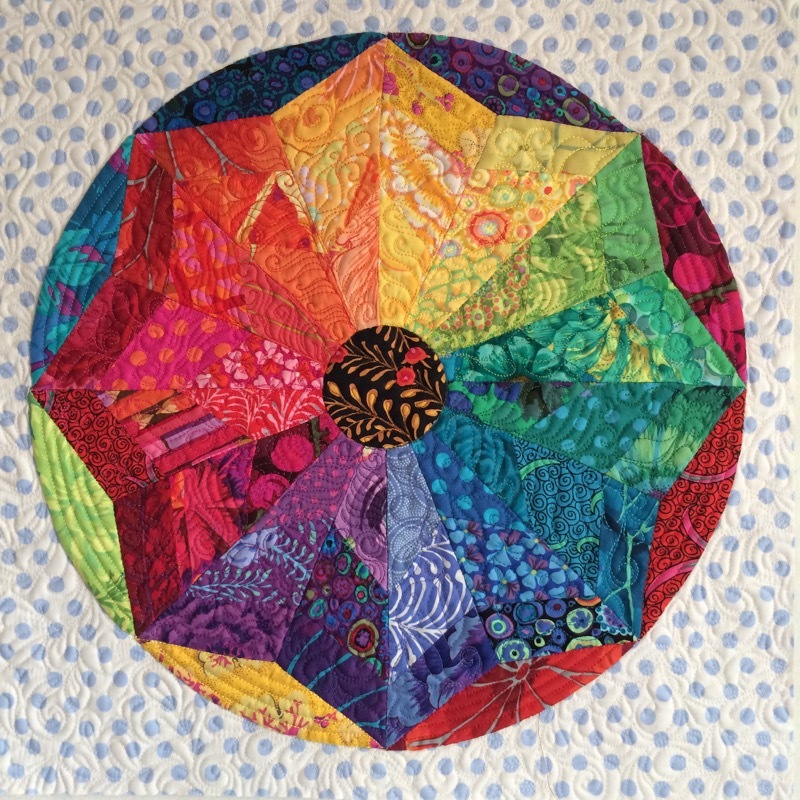 . . lucky Riverside quilters to get to take one or all of those classes with you. what beautiful things you have here. The pictures are really beautiful !!!! Elizabeth, I’m very happy for you to begin sharing your quilt knowledge and teaching skills with others. I hope it all turns out well for you and that you enjoy it immensely. In fact, I liked the statement you made about not providing sewing machine tech-support. Great idea! I have added similar verbiage to my fall course descriptions, so thank you for that. Lately, I’ve had a couple students give negative feedback. Though 98 percent of my students give me glowing reviews, I am not very good about not letting the minority hurt my feelings. After I teach in this fall (I have already signed a contract for four classes), I will no longer teach. It’s just not worth the emotional upheaval if someone isn’t happy with my class, especially when I have no recourse to speak with the student about it. The College conceals the name of the complainer. So, 2017 will be the year I’m free, which will also allow us to do more traveling. You sure get away often! Enjoy your trip to Spain. What great course offerings! Too bad I’m not closer to the shop where you teach. I love the idea of a discount for buying three.